He said (to paraphrase) when we’re driving ours car we feel like Vin Deisel. When we’re out with a girl we feel like Ryan Gosling and when we’re having a beer we feel like Mickey Rourke. But who are we when we’re scraping dog crap off our kids wellies? Or juggling credit card payments so we can pay the rent? 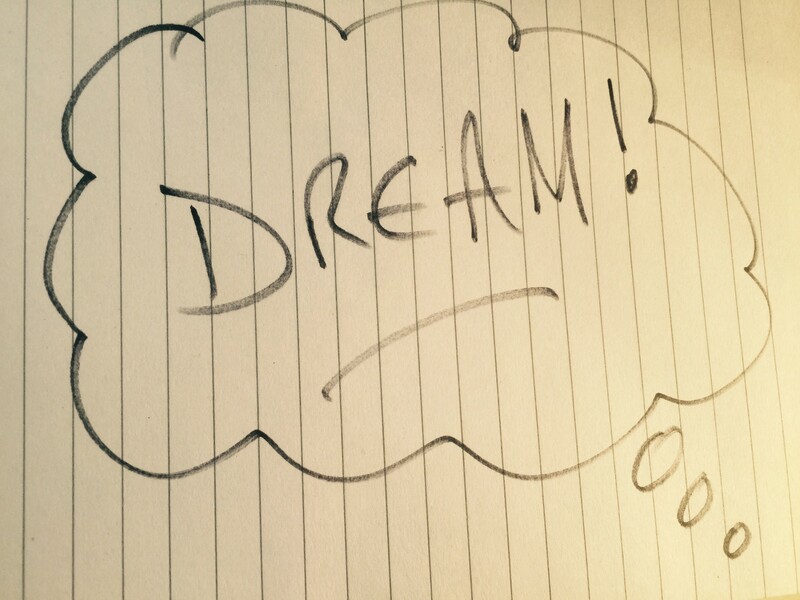 …but in order to recognise the dream you need to balance them against reality. I knew EXACTLY what I was working towards when I started building my own e-business. My first child was on the way and I wanted to be around when she (and the next one) grew up. I also wanted to earn enough money from my online business so my wife could give up teaching and stay at home too. I wanted a bigger house than the lovely but tiny two-bedroom cottage we lived in, and I wanted to work doing something I loved but only work a few hours a week so I could have enough time to do other things that I wanted to do – simple things like travel, gardening, reading, ‘trying out’ other businesses and helping others to build their businesses. …but because of comparing the dream to my reality. 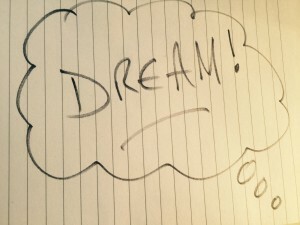 I think we all need dreams – I think they’re essential to our lives. But don’t hate your reality, even though yours might be in a grim position at the moment. Instead use it as fuel, as motivation to build your dream. That’s the secret to success and to keeping your motivation going. When you’re walking a long distance, it’s impossible to see how far you’ve progressed until you turn round and look at where you’ve come FROM. Then you’ll really see how far you’ve travelled. Wow, how deep is that eh? Dunno how many times I dreamed of having Easter eggs for brekky when I was an 8 year old boy but my parents (quite rightly) wouldn’t let me.